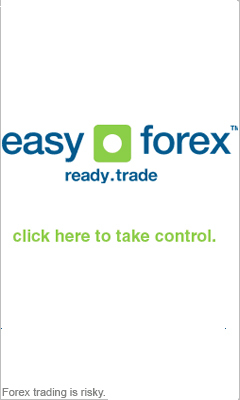 A Bearish market happens when prices for the online Forex market are declining. In bearish candle charting we try to foresee when the market will drop. It has an upward trend preceding the shooting star. It consists of a candle line with a long upper shadow, and a small red or green upper body. The line either has a very small lower shadow, or has no shadow at all. After noticing a shooting star, you can expect a bearish market to appear. This pattern is recognizable when you notice a long red body that follows a small green body, and engulfs it. This pattern can point to the fact that the bullish trend has tired, and that a bearish trend is nearing. This reversal pattern consists of two candle lines. The first candle line of the dark cloud cover is a line with a long green body. The second line opens above the previous candle's high price. The closing price for the second candle line is close to the market's low point, and it is also within the range of the prior candle line's green body. This is a top reversal pattern, made out of three candle lines, and is the opposite of the bullish morning star. The evening star occurs when there is a bullish market. This is followed by a long green candle. Then appears a small real body of red or green color, which is out of the range of the previous green body. The third candle has a red body that closes inside the range of the first candle. The window is similar to the gap in bar charts. There could be rising windows or falling windows. A rising window occurs when the top of the previous upper shadow is lower than the next lower shadow. A Falling window occurs when the previous low shadow is above the top of the next candle's upper shadow. both types of windows suggest that the market may have exhausted its rising/falling trend, and is going to change direction.